Teachers in Thailand are quite respected, and it is important to dress appropriately for interviews, classes, and school functions. Shorts, ripped jeans, T-shirts, tank tops, and mini-skirts should be avoided. Tattoos, long hair, and multiple earrings are also frowned upon. Expectations will vary with the type of school, the curriculum, and previous exposure to native English speakers. Because I was the first native speaker to teach at my school, my purpose was not so much to develop specific language skills, as to give the students a very general exposure to listening and speaking English. While other volunteers were teaching American literature and reading, I was working on simple conversation, such as "How are you?" Commercial and Private schools will have more rigid expectations of teachers than Thai schools, since the students are there to learn English for a specific purposes. You will be expected by all schools to make your class engaging, thought provoking and even entertaining. While your course material will help to guide you through the educational materials, how your students perceive you will also be important. Teachers who are popular with their students while achieving results with exams, will be given the best opportunities, just like in the west. In terms of teaching materials, I would bring over a few good "desert island" drill books. Commercial schools will certainly provide you with decent teaching materials. Thai schools, however, are unpredictable. Some have pretty good instructional texts for conversation, such as the Side-by-Side series. Others have old editions of language and vocabulary workbooks that are completely out of date. English bookstores are abundant in Bangkok, Chiang Mai, and other big cities, but you may have quite a bit of difficulty finding good texts if you are in the countryside. Work load and schedules vary greatly. I would say the average teaching load is 15 hours a week. Class size and curriculum will determine your work load as well - there is a great difference between grading 40 quizzes and 100 essays! Commercial schools tend to have more regular schedules, but Thai schools have a lot of split schedules, which can really prolong your day. You may have four hours of teaching a day, such as a two-hour class from 9 a.m. to 11 a.m. and another one from 3 p.m. to 5 p.m. Even though there are four hours in between your classes, you will be expected to hang around the office for the whole time. 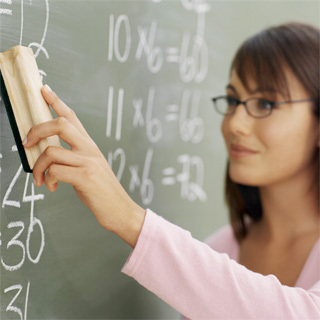 See if you can arrange your schedule to teach all your classes in a consecutive time period. Split schedules are a real hassle, but if you teach in the evenings at government schools, you may get overtime pay.